As the e-cigarette market heats up, many people believe that vaping is less dangerous than actual cigarettes. However, the vape debate has sparked new interest around the dangers of the use of tobacco products and the harmful effects of nicotine. MedStar St. Mary’s Hospital in Leonardtown is hoping to educate the public about the potential problems of the nearly 500 brands and 7,700 flavors of e-cigarettes. 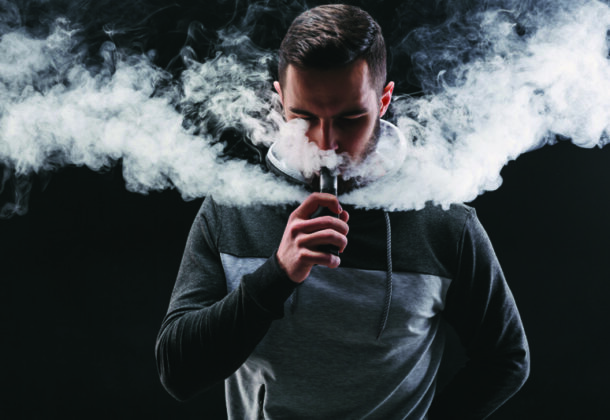 The health department started the VapeAware awareness campaign in 2015 to provide the most recent information on this trendy smoking alternative. The department also works alongside the Tobacco Free Living Action Team of the Healthy St. Mary’s Partnership to help tobacco-related health outcomes in the county. The most disturbing part of the trend is that it has become most popular among adolescents and teens. During the Maryland 2016 Youth Risk Behavior Survey, 42 percent of young respondents in St. Mary’s County had tried electronic vapor products within the 30 days before they took the survey. Recent studies have exposed that e-cigarettes are not as harmless as many want to believe. While they are not as toxic as regular cigarettes, use of electronic nicotine delivery systems, or ENDS, still comes with risks, like exposure to nicotine and other aerosols which are known cancer causers. Visit MedStar online for more information on the Grace Anne Dorney Pulmonary & Cardiac Rehabilitation Center, the risks of tobacco use, and available smoking cessation resources. Nicotine Exposure: Nicotine is very addictive and adversely affects the heart, lungs, reproductive system, kidneys, and more, and might increase the risk of certain cancers. Aerosol Exposure: Aerosols can contain harmful substances like cancer-causing chemicals and tiny particles that can get deep inside the lungs. Increased Risk of Use of Other Tobacco Products: For young people, can serves as a gateway to using combustible cigarettes. Poison: Accidental exposure to even small amounts of nicotine in liquid form – as little as a teaspoon – could be fatal to children and slightly more could kill an adult. Burned skin: Batteries in ends could explode, causing severe injury. For more information and one-click access to a full list of resources available at MedStar St. Mary’s Hospital, visit their Leader Page.